Packt Publishing wrote: Spring Boot provides a variety of features that address today's business needs along with today's scalable requirements. In this book, you will learn how to leverage powerful databases and Spring Boot's state-of-the-art WebFlux framework. This practical guide will help you get up and running with all the latest features of Spring Boot, especially the new Reactor-based toolkit. The book starts off by helping you build a simple app, then shows you how to bundle and deploy it to the cloud. From here, we take you through reactive programming, showing you how to interact with controllers and templates and handle data access. Once you're done, you can start writing unit tests, slice tests, embedded container tests, and even autoconfiguration tests. We go into detail about developer tools, AMQP messaging, WebSockets, security, and deployment. You will learn how to secure your application using both routes and method-based rules. By the end of the book, you'll have built a social media platform from which to apply the lessons you have learned to any problem. If you want a good understanding of building scalable applications using the core functionality of Spring Boot, this is the book for you. 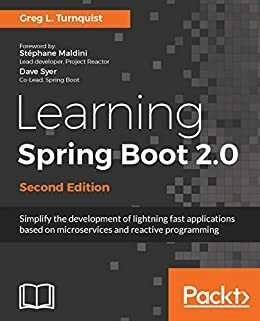 "Learning Spring Boot 2.0" authored by, Greg L. Turnquist is an employee at Pivotal, the company that developed the Spring framework and many other projects. The author does a good job of introducing Spring Boot 2 and many of the features that can used when creating microservices. Greg shows/explains the use of the Flux and Mono classes and some of its members to take advantage of the Reactive web server. Each chapter in the book continues work on the code/project from the previous chapter (or from GitHub) and at some point you could have four (or more) different projects communicating with each other at the same time. Along the way you lean about concepts such as Reactive Data Access, Unit Testing, custom AutoConfiguration classes, Selenium, WebSockets, and AMQP (messaging) and more. Not all of the code provided by the author in the book works as is, but the code in the GitHub provided for this book does. The author has updated the code as the technology/frameworks covered has been updated by Pivotal. In January and Febuary of 2018, when I was going though the book the author was quick to respond to issues and inquirers on GitHub. Everything is covered enough to get quick started with using Spring Boot 2. 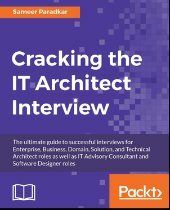 Seasoned developers can probably skip the first half of this book and will probably pick up a few kernels here or there when the book delves into microservices. Note that everything in this book is geared towards a Java 8 system. You will need to make changes if you plan on using any Java version other then Java 8. What Is The Recommended Way To Handle Many Projects?